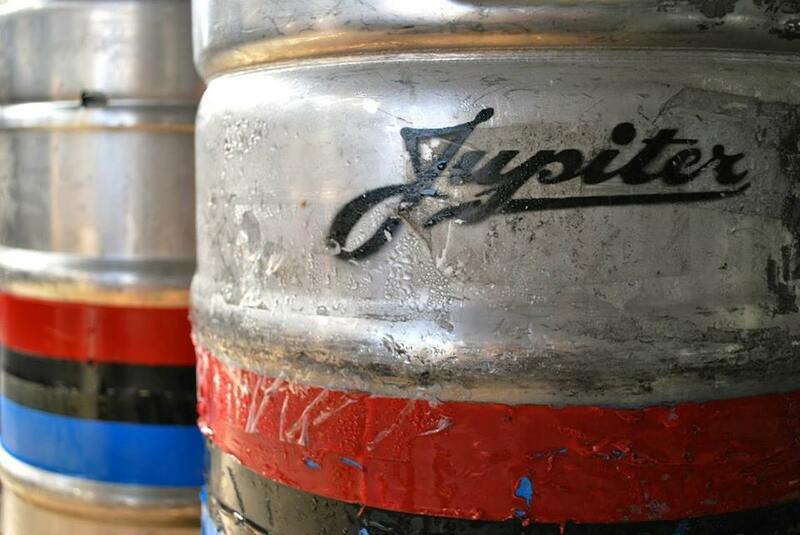 Locally owned & operated, Jupiter has been serving handcrafted ales in Berkeley since 1992. The two-story venue was designed to emanate gothic-influence: metallic pressed tin on the walls, pews salvaged from St. John's Presbyterian (now the Julia Morgan Theatre) & antique church lighting. 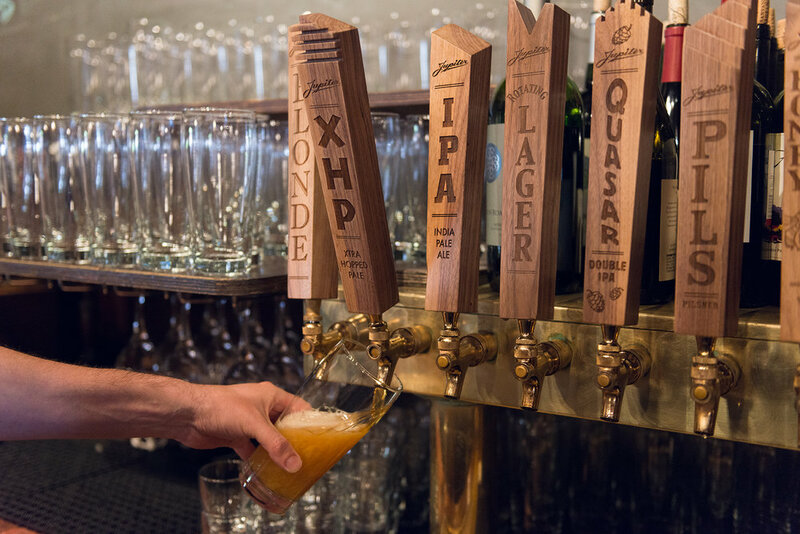 The bar was topped with copper, allowing the beer taps to glow in front of a huge wooden ice box. Founder John Martin was already an established named in craft beer in the early 90s, having started Triple Rock Brewery & Alehouse, the country's oldest original brewpub, in 1986 & working tirelessly to improve brewing legislation. His focus on sculpting the perfect customer experience was built directly into everything Jupiter is. 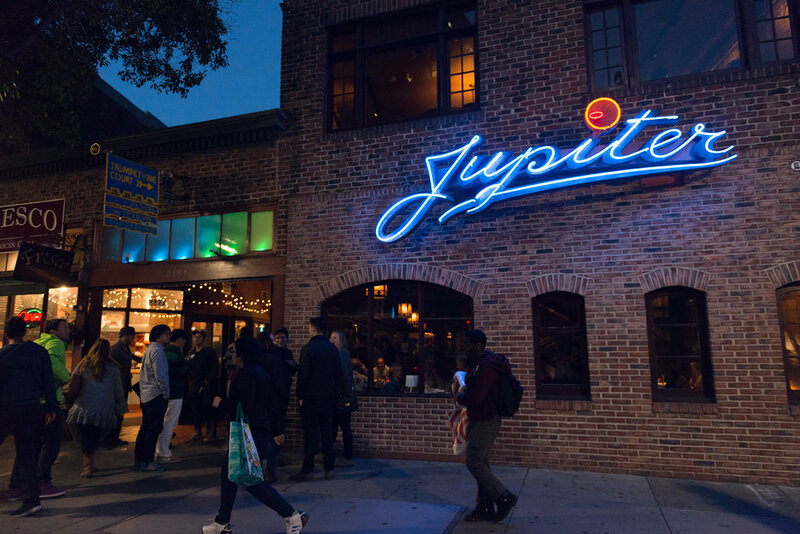 Nearly 25 years later, Jupiter is still a Berkeley hotspot. Dinner here is a bronze-hued buzz, almost always saturated with Berkeley folk, old & new. Customers are greeted with the smell of pizza dough & roasted toppings the moment they walk through the door. 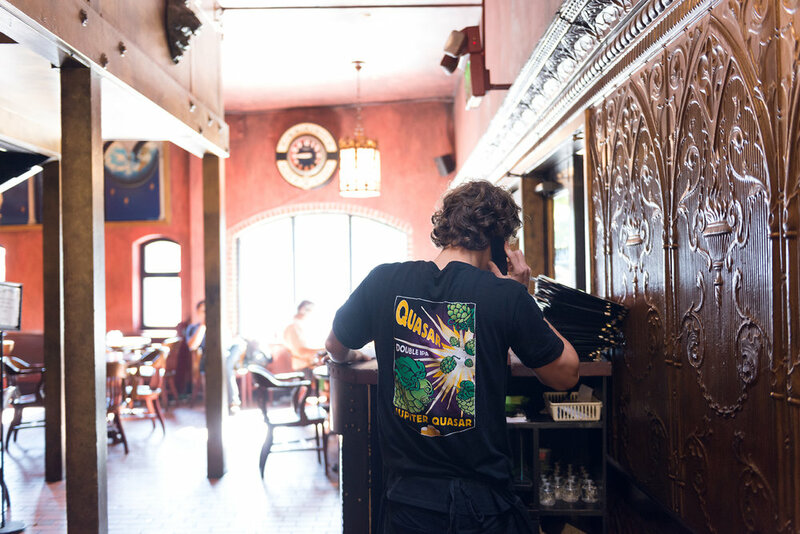 Any open seats at the bar draw beer lovers & learners alike to interact with our highly-trained bar staff, receiving recommendations on new finds or old classics. 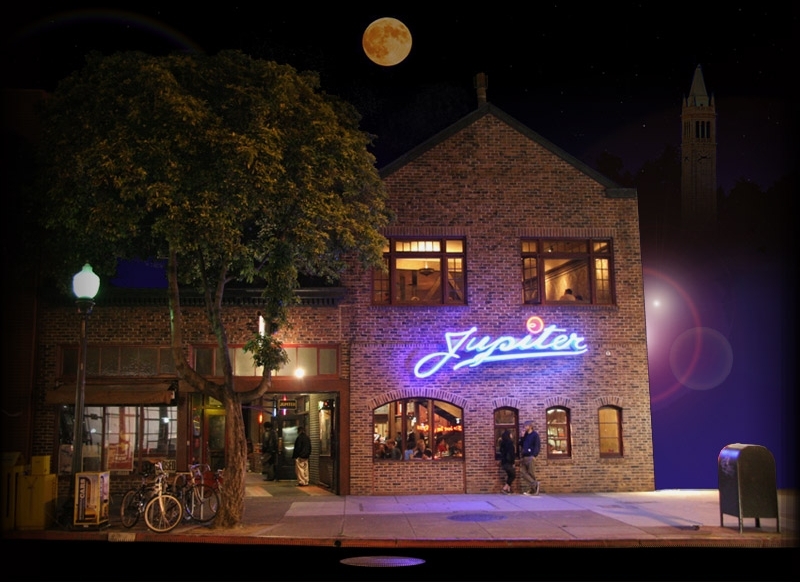 Jupiter hosts live music on our outdoor patio up to 6 nights a week. Trumpet vines & string lights create rare atmosphere in this truly unique Downtown oasis.